Happy Friday, Pierce County! Here are my top three things to do in Tacoma and the county this weekend. Looking for more things to do? We are constantly updating our online events calendar with local happenings - check it out! Tacoma has been attracting craftsmen and artisans for decades, and in 2016 was named one of 13 Etsy Maker Cities. Spend the afternoon getting to know local makers, artists, and designers at the Downtown Tacoma Market, located in the historic Courthouse Square. Pick up a coffee from Lift Bridge, and admire the architecture while you browse handmade jewelry, home goods, art, and more. The $1 suggested donation for market entrance benefits Spaceworks Tacoma, an organization that provides support for up and coming small businesses and local artists. The Hilltop Artists Spring glass sale is another easy opportunity to buy local and support a tuition-free creative organization that serves over 500 youth. Ranging in age from 12 to 20, Hilltop Artists are students who create glass art through flameworking, glassblowing, mosaics and fusion, and learn to tap into their own creativity. All proceeds from the glass sale support the non-profit organization. Bring a $10+ grocery store gift card or 3+ non-perishable food items and exchange them for a surprise gift! 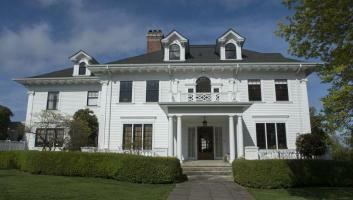 Take a self-guided tour of the beautiful historic homes in Tacoma’s North Proctor District. 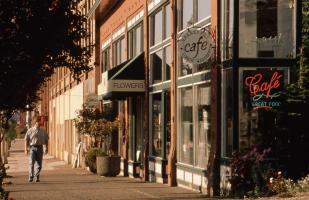 Hosted by the Tacoma Historical Society, local experts and homeowners share the history and architecture of this North End neighborhood. Tickets cost $20 for Historical Society members, and $25 for non-members. Tours run on both Saturday and Sunday. If you&apos;re feeling hungry, food and beverages will be available at the reception center, or make some time after the event to visit Pomodoro Italian Restaurant and Bar or local favorite Rosewood Café for a hearty post-walk meal. This event is recommended for participants aged 16 years and older. 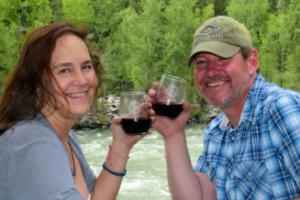 Savor the views of Mount Rainier while you sip Washington wine! This two-hour long wine tasting journey allows passengers to mingle and converse with vintners, growers, and sommeliers while sampling gourmet hors d’oueveres designed to pair with the different wines. 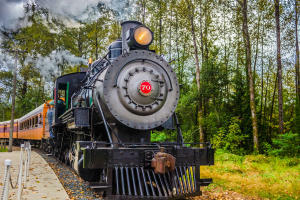 The historic train route ends at the Mount Rainier Railroad and Logging Museum, and where riders will enjoy a meal and live musical entertainment. Leave the excursion with a commemorative wine glass to remind you of your journey on the Washington Wine Express.